The Twin Cities Jazz Festival is now just four weeks away from its official opening at Mears Park, and it seems bands and performers all over the metro are warming up! The holiday weekend is generally on the slow side, but nevertheless, there's a diversity of jazz offerings from Minneapolis to St Paul and points beyond. Enjoy a family barbecue along the way! Friday, May 27. 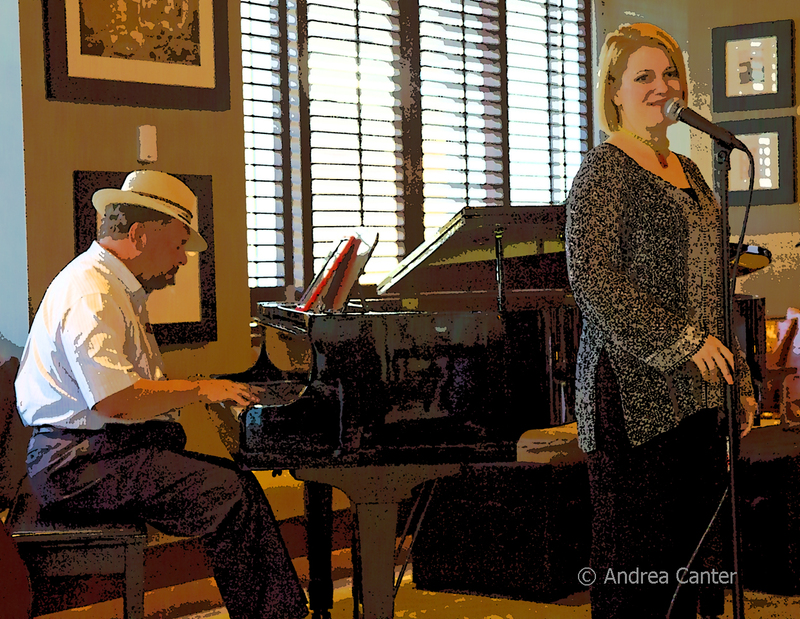 Maud Hixson returns to Parma 8200 with Rick Carlson and Gordy Johnson, while some fortunate circumstances put New York saxophonist Ted Nash at Vieux Carré with pal Jeremy Walker as a free big act to open the evening. Public Kitchen in Lowertown St Paul has been presenting some pretty cool jazz lately, including tonight's gig with the Paul Harper Chordless Quartet, featuring Harper on saxes, Steve Kenny on flumpet, Tom Lewis on bass, and young Matt Buckner on drums. 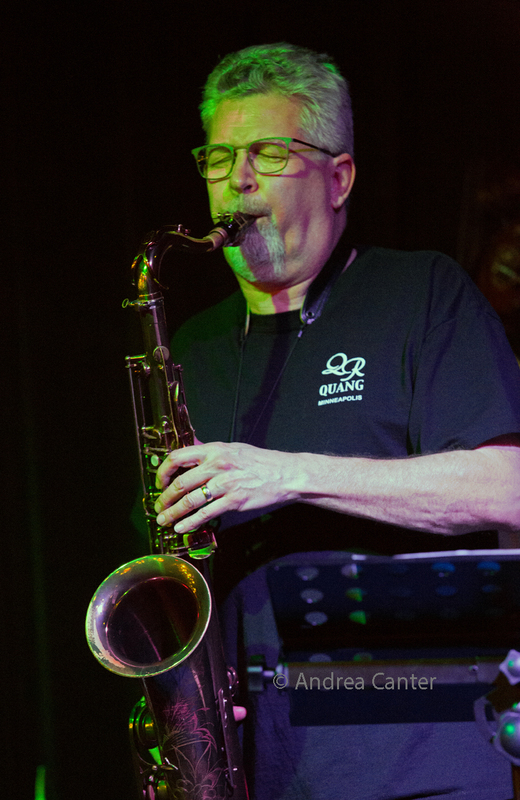 The quintet edition of President Flow flows musically at Jazz Central, with the double sax frontline of Joe Mayo and Peter Vircks, along with Park Evans on guitar, Josh Granowski on bass, Rick Nair on drums. KBEM's annual Spring River Cruise on the Mississippi aboard the Magnolia Blossom takes place this evening with music from Patty Peterson and nephew Jason Peterson DeLaire -- possibly a few tickets remain! (See the KBEM website). Bryan Nichols and Brandon Wozniak "cruise" on dry land, dinner sets at the Icehouse. Saturday, May 28. 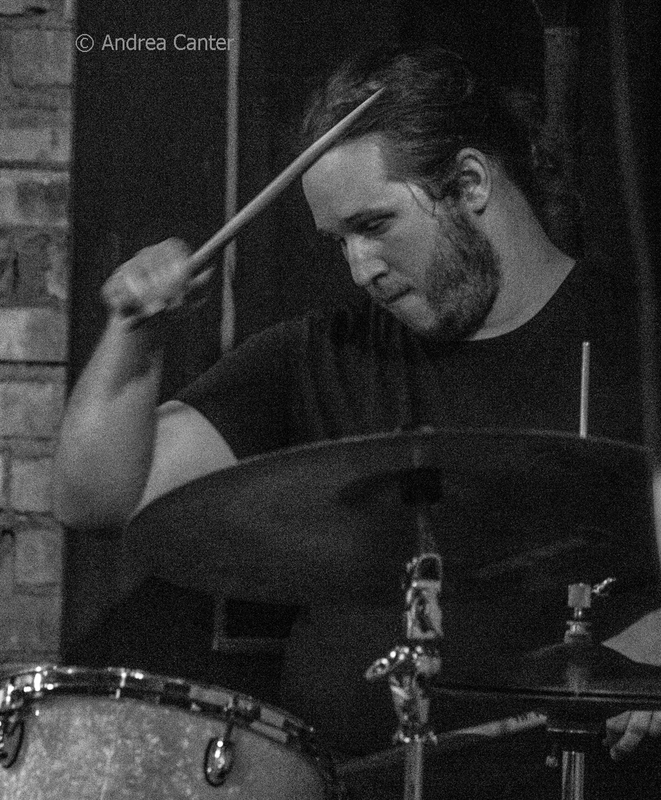 For Peter Vircks, one of the original Motion Poets, it's a long weekend as he brings his own quartet to the Saturday Night Jazz at the Black Dog series, with the Evan Benidt Trio opening, led by saxman Benidt, and it's another gig for Park Evans. It's also another Black Dog night in the temporary music space --what will be the greatly expanded cafe space off the new kitchen, and perhaps the last weekend before music moves back to its original, now enlarged space with a new full bar. Watch for a celebration of the renovations! 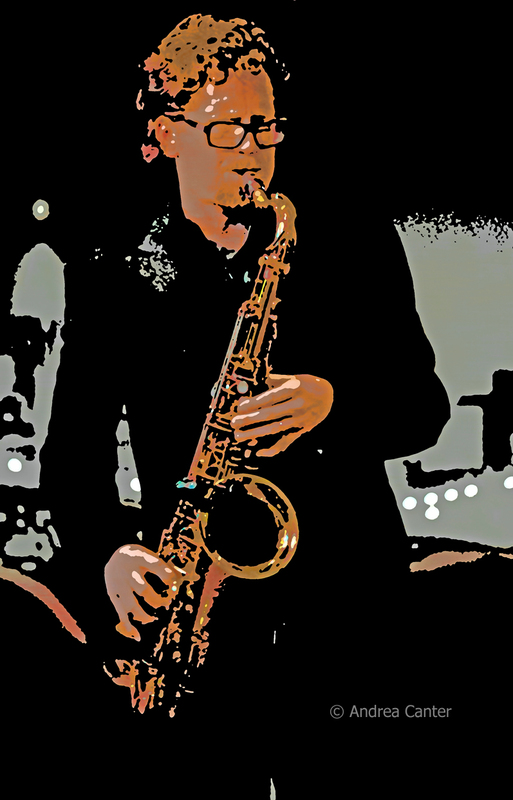 Also on Saturday, renegades from Group 47 and Dark Blue form part of the Alex Burgess Quartet, convening at Jazz Central. 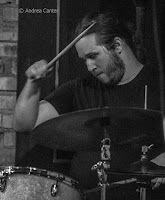 Drummer Alex enlists fellow Group 47 and Dark Blue artist, saxman Thomas Strommen, along with keyboard veteran Eric Graham and guitar monster, Dark Blue agent Dylan Nelson. Over at the Dakota, it's time for the almost monthly party with Nachito Herrera. Sunday, May 29. Those of us old enough to remember Sergio Mendes and Brazil '66 and those young enough to wonder about the origins of popular Brazilian jazz will want to head to the Dakota for Mendes current touring show, a celebration of the 50th anniversary of the iconic band. 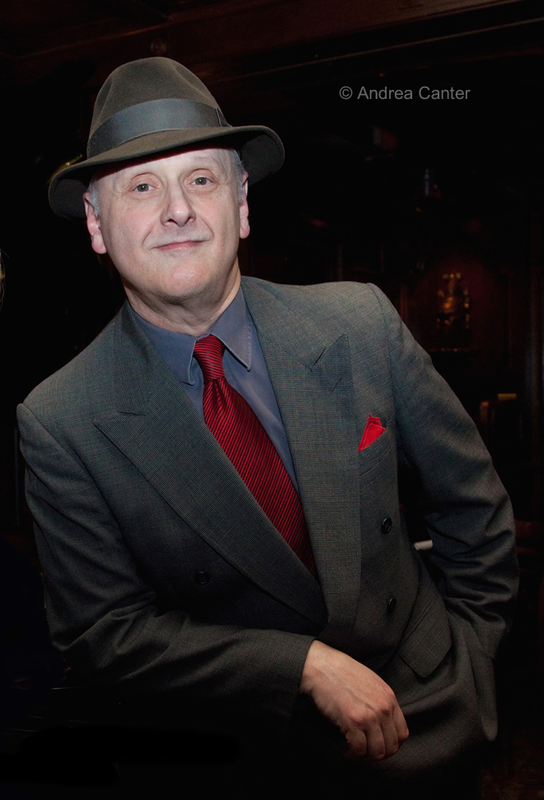 It's also Dunsmore Room debut night for Minnesota's crooner, Arne Fogel, appearing with Dan Chouinard on The Birthday Club. Monday, May 30. 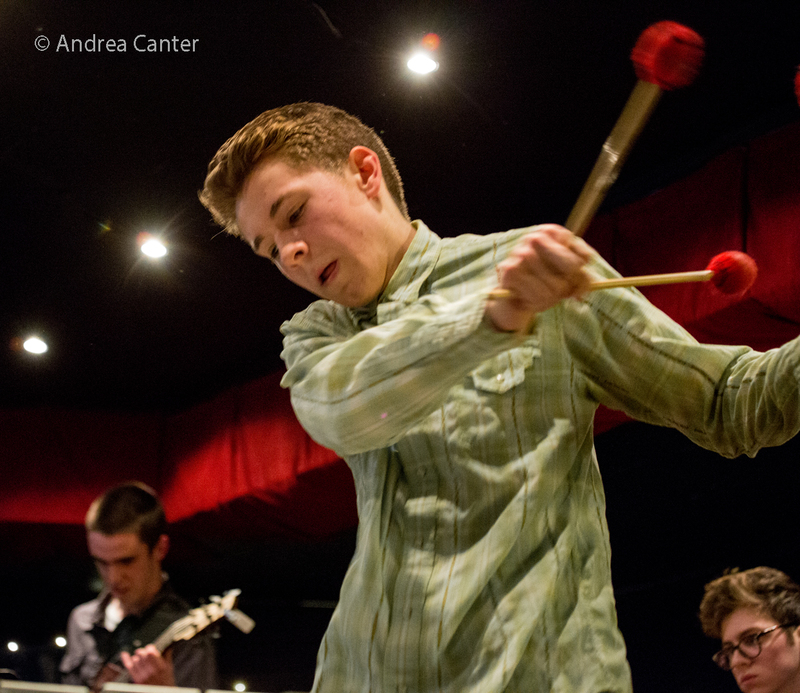 Some young turks burn up Jazz Central tonight when Sound Skirmish returns. Originating while all were still high schoolers, the band has a rapidly maturing line-up of Patrick Adkins (piano), Levi Schwartzberg (vibes), Drew Stinson (bass), and Ben Ehrlich (drums). Adkins (Lawrence Conservatory) and Ehrlich (U of North Texas) are in town on summer break, while Schwartzberg (U of M) and Stinson (McNally Smith) are heard often on the local scene. Tuesday, May 31. 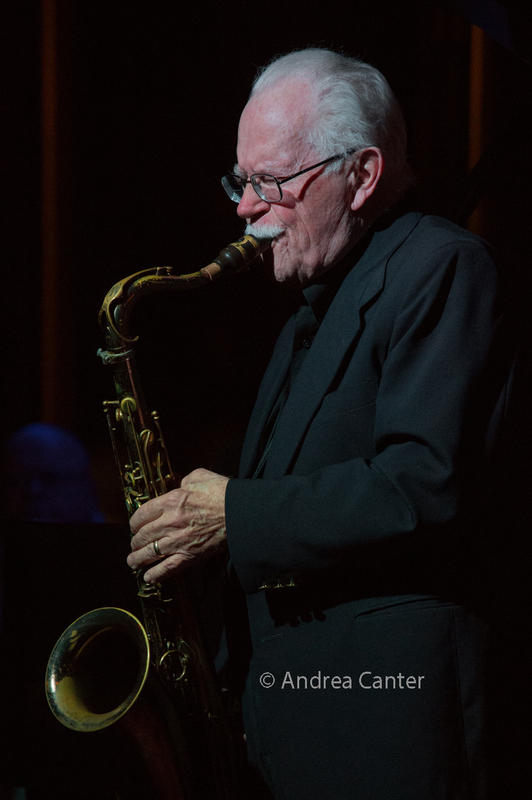 One of the early gigs in the Dunsmore Room, the Dave Karr Quartet returns on with energetic octogenarian Dave joined by Chris Lomheim, Keith Boyles, and Phil Hey. Mostly on the other end of the generation gap, Steve Kenny's Group 47 returns to action at Vieux Carré-- that's veteran Kenny on flumpet with relative youngsters Thomas Strommen (sax), Will Kjeer (piano), Adam Tucker (bass), and Alex Burgess (drums). Pianist Steven Hobert offers an opening solo set. At the Dakota, enjoy Kate Lynch and her Most Excellent Fellows. Bassist/vocalist Kate was inspired by the Ink Spots' "Java Jive," and will offer a two-set evening "of songs that date twenty years before and after Java Jive." Her "Fellows" are indeed excellent--Chris Beaty on guitar, Ken Chastain on drums, Greg Lewis on trumpet and Michael Nelson on trombone. Wednesday, June 1. 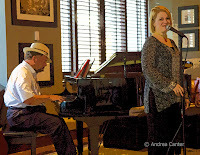 Usually on hand to host in the Dunsmore Room, singer/pianist Andrew Walesch is in the spotlight tonight with vocalist Jennifer Grimm. Thursday, June 2. A relative newcomer on the local jazz scene, drummer Rodney Ruckus lives up to his name every time behind the trapset. He leads a trio for Thursday Night Jazz at Reverie, with Javi Santiago on piano and Ted Olsen on drums, following a young lions opening set headed by teen guitar sensation Adam Astrup. In Eden Prairie, head to People's Organic Coffee for the Very Trio, playing it all from standards to Stevie Wonder and the Beatles-- the band is on stage every Thursday this month. 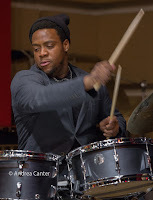 For even more listings of area jazz events, see the Live Jazz Calendar posted on the KBEM website, and see more detailed information at jazzpolice.com --online and on Facebook. And tune into the on-the-air edition of the Lead Sheet every Thursday at 4:40 pm, rebroadcast on Fridays at 8:20 am. 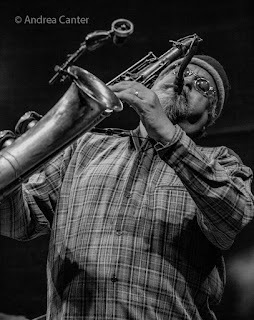 My guest next week will be KFAI host and DJ Larry Englund, talking with me about the upcoming Iowa City Jazz Festival, just a 5-hour drive south over the Fourth of July weekend.